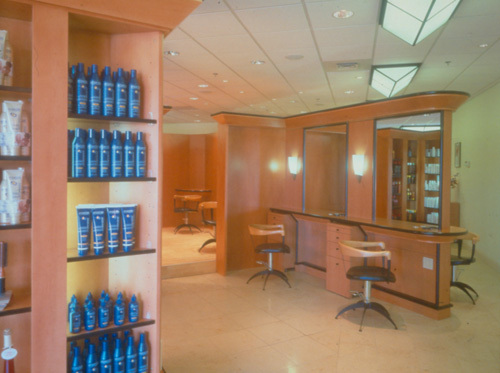 This high-end salon was lighted with a scheme that provided task lighting for stylists, flattering light for clientele, and aesthetic lighting for visual appeal. 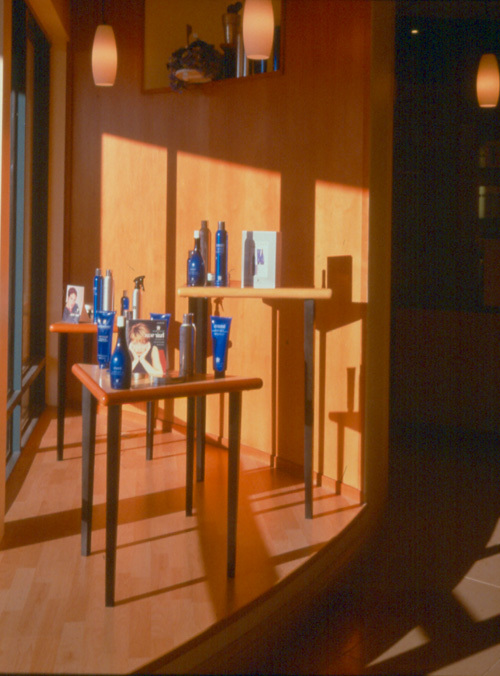 “Skylight” fixtures follow the unique shape of the space while providing general illumination. 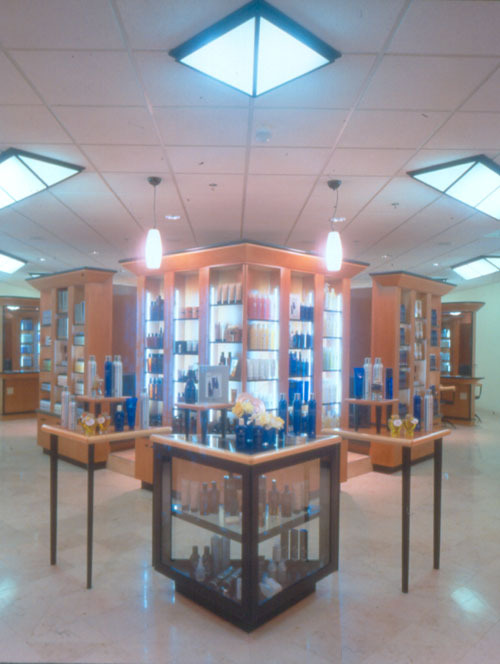 Display lighting intent effectively highlights merchandise while equally presenting attractive accents. 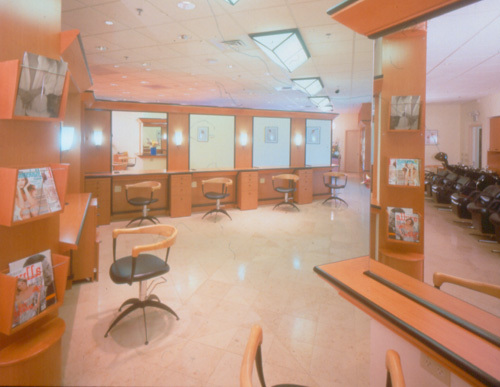 Task lighting is provided with directional lighting for hair coloring and styling needs. 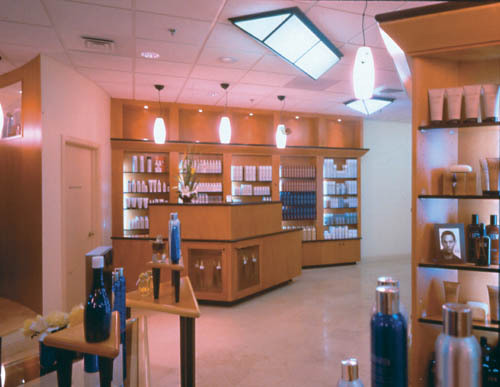 Sconces with appropriate light dispersion are placed at each styling station for a flattering impact for clientele.